Oil and gas are one of the most volatile sectors for investors. When the price of this commodity falls, many consumers get relief at the gas pump, but oil and gas stocks are punished. The opposite is true when oil and gas prices rise, which has been the case since January of 2016. The price of crude oil has risen over 30% from its low of $42.57. And since January of 2018, crude oil is up almost 23%. While customers may bear the cost of rising oil prices by paying more at the gas pump, the same companies that get punished from falling prices will benefit from rising prices. It is a macroeconomic truth, rising oil prices generally signal a growing economy. One reason for this is that in addition to delivering oil and gas, the price of oil and gas affects mining and exploration. Rising oil prices allow companies to fund these operations. As an investor, the question becomes how can you profitably invest in this sector? With the popularity of Exchange-Traded Funds (ETFs), investors with a low-risk tolerance may find that owning the sector is sufficient to allow them to even out the volatility. However, not all oil and gas stocks are created equally. And, some of the major energy companies pay dividend yields that are among the highest in the industry. When it comes to being profitable from investing in this sector, it’s always a smart play to own the individual companies. With that said, we’re providing a list of eight stocks that are already showing strength from the rising oil prices. Royal Dutch Shell (NYSE: RDS-A) - One strategy for investing in rising oil and gas stocks is to look at the major players. Due to their large market caps, an increase in oil prices increases their valuation. For example, if Brent crude were to increase to $90/barrel by 2020, as at least one industry analyst believes it will, a company like RDS would see its valuation increase by 30%, and one analyst is predicting the stock could see a 25% increase in 2018. Oil and gas companies can get highly leveraged when oil prices decline, so rising prices will provide an increase in free cash flow that will help their balance sheet and help reduce investor concerns about the company’s debt load. Rising prices are also seen as a positive sign for dividend growth. RDS currently has a dividend yield of over 5.5%, well above the industry average of around 4.8%. Another reason to consider a major player like RDS is its pipeline of new projects that will also help their cash flow. And while consumers don’t like the higher prices, gas is one of those commodities that consumers will still purchase and RDS has one of the largest networks of retail gas stations. Ratings Breakdown: 6 Buy Ratings, 7 Hold Ratings, 1 Sell Ratings. B.P. PLC (NYSE: BP) - Free cash flow is also the key to making your decision about whether to own BP. In 2008, the company was able to generate massive profits and had over $15 billion in free cash flow. In the last 12 months ending in August 2018, BP was reporting $6.25 billion in positive free cash flow, which while less than half of its record total, was significantly higher than the company’s positive free cash flow for all of 2017. And when you consider that the company had a negative free cash flow in 2016, the trend is positive. The potential for even higher free cash flow that will come from higher oil prices combined with an attractive dividend yield (currently about 5.4%) is a key reason analysts are becoming more bullish about BP. The company is also projecting a boost to their free cash flow through their acquisition of shale assets from BHP Billiton. These assets, which span almost 500,000 acres of oil-producing shale, will be capable of generating the equivalent of 190,000 barrels of oil per day. And the most positive sign for investors is that most of the company’s free cash flow projections are with oil prices around $55/barrel. If they stay at current levels above $70/barrel or higher, these numbers may be low, making the stock even more attractive. Ratings Breakdown: 9 Buy Ratings, 3 Hold Ratings, 0 Sell Ratings. EOG Resources (NYSE: EOG) - If you could invest in a stock that a Barron’s analyst heralds as “the Apple of oil”, would that get you excited? That's the case with EOG Resources. Two of the reasons that analysts like EOG are that they are a company that is known for having a disciplined use of capital, a strong culture, and technical innovation. All of these factors give the company an excellent opportunity to see a rapidly rising cash return. The company has a proven track record of producing a large after-tax real rate of return on their drilling sites when oil prices are around $50/barrel. One reason for this is the company chooses premium drilling sites, and when oil prices were sagging in 2016, they divested non-premium sites and made strategic acquisitions that, with prices up over 20% in 2018, leaves the company in a strong position. The company has reported four quarters of rising revenue and positive income. The stock currently trades around $130 per share and has been steadily rising above a support level of $100 since April of 2018. Ratings Breakdown: 20 Buy Ratings, 7 Hold Ratings, 0 Sell Ratings. Comstock Resources, Inc. (NYSE: CRK) - You don’t need to be a fan of the National Football League to appreciate what an influx of cash from Dallas Cowboys owner Jerry Jones can mean to the short- and long-term prospects for Comstock Resources. The company’s stock had been teetering near bankruptcy for nearly a year. But by acquiring oil and gas assets from Jones in exchange for newly issued stock, the company is likely to begin generating cash flow that will help them pay off short-term debt and should create a path towards production growth from the newly acquired properties. Jones, who now owns 84% of the company, is betting on Comstock to be able to help his properties continue to generate cash. His infusion of cash will allow the company to increase production activity without taking on debt, leaving the company with a large amount of cash to reinvest. Resolving its balance sheet issues is creating optimism for investors who see the fair value of the stock rising to $13/share just above its 52-week high with the possibility of climbing as high as $25/share. The stock is currently trading at around $8.50/share. Comstock Resources, Inc. and its subsidiaries engage in the acquisition, exploration for, development, and production of oil and natural gas properties, primarily in Texas, Louisiana, and North Dakota. The company is headquartered in Frisco, Texas. Ratings Breakdown: 1 Buy Ratings, 1 Hold Ratings, 1 Sell Ratings. Devon Energy Corporation (NYSE: DVN) - Devon Energy has undergone a transformation that is positive news for investors. The company focused on growing production, particularly focusing on shale drilling which was a boom-or-bust proposition. However, the company has reinvented itself into an oil company that is showing a discipline which should give investors reason to believe in the company’s fortune. The company is now focusing on finding profitable wells that, over the next three years, will allow the company to earn a return on capital, streamline its portfolio, and strengthen its balance sheet which may allow it to reward shareholders. Currently, the company has a dividend yield of less than 1%, far below the industry average. Company projections, based on oil trading at $60/barrel, are showing $2.5 billion in free cash through 2020. The company has also announced a stock buyback plan which will see the company repurchase up to $4 billion in stock by the end of 2019. With shares trading around $40/share, this should give the stock price room to rise. 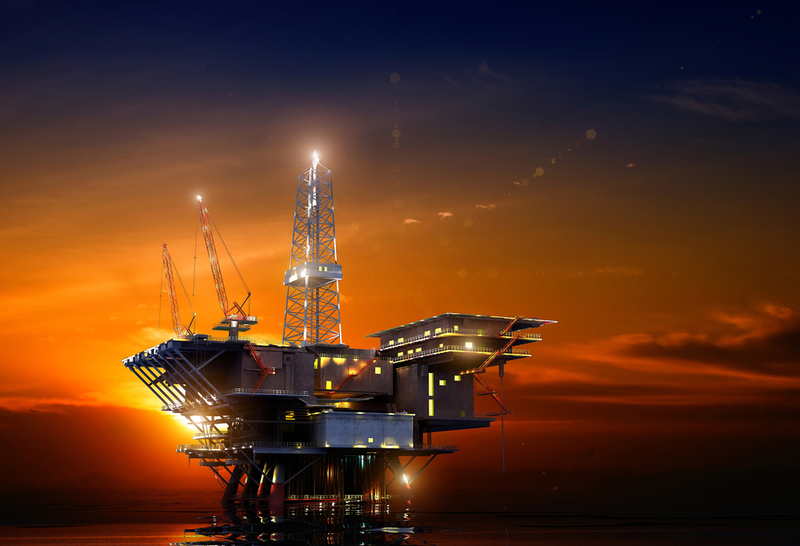 Enterprise Products Partners L.P. (NYSE: EPD) - Income investors looking for an oil and gas play that is not a driller can look to Enterprise Products Partners. This has been a shining star, but it has recently hit a rocky patch. Over the past three years, EPD has delivered a total return of less than 1%. This is a problem when oil prices have been steadily rising for the last two years. The question that investors should be asking is if the company’s recent performance is the new normal, or is there enough reason to propel the company forward? However, it appears the company’s cash flow – and stock – may have hit a bottom in 2016 and it is trying to rebound. One encouraging sign is that some key commercial expansion products have just recently gone online, and the company has over $5 billion in future projects under construction that should start generating cash flow in the next two years. Energy infrastructure remains a hot market, and EPD is positioned to cash in on their share of the $26 billion market for new energy-related infrastructure. All of this bodes well for the EPD’s ability to return value to its shareholders, which has been one of the key historical drivers of its growth. The company has a current dividend yield of just under 6%, well above the industry average. Marathon Petroleum Corporation (NYSE: MPC) - Marathon crushed their latest earnings report by 35%, and their success has more to do with the efficiency of the company than oil prices. Marathon has been a company that has actually seen its margins increase while oil prices rise, which is certainly an anomaly in a rising oil price environment. This is due to Marathon’s ability to source and refine hard-to-process blends of crude oil. But there’s more than just their ability to process what the industry calls “sour crude” as a reason to invest in Marathon. They recently transferred a significant portion of their refining and marketing income to its MPLX subsidiary and is not taking the cash generated (over $230 million) and put it back into a stock buyback program and dividend reinvestment. And if that weren’t enough, MPC is virtually a lock to complete a merger with industry-darling Andeavor. Marathon’s stock has risen 40% in the past year which may give some investors reason to pause. However, with significant ways to generate positive, and increasing EPS numbers, as well as the pending merger with Andeavor and there are reasons to believe Marathon will continue to provide value in 2019. Anadarko Petroleum Corporation (NYSE: APC) - Anadarko saw its U.S. onshore oil volume surge by 47% in the second quarter, but they missed on earnings coming in $0.02 per share below what analysts expected. At $0.54 per share, they still came in $0.02 cents above the prior quarter. Even with the miss, there's a lot to like about Anadarko. First of all, they had to revise their future spending upwards because of the recent rise in crude prices. Normally this would be a drag on a company, but Anadarko is anticipating generating what the company termed "very high returns" on the $250 million increase to its mid-year budget. The company is also active in leasing land in the Powder River Basin of Wyoming one of the major oil and gas basins in the Rocky Mountain area and right next door to Anadarko's existing operation in Colorado's DJ Basin. As a company that is generating strong production, having the ability to return cash to its shareholders and still has the resources to continue to acquire new drilling targets, Anadarko is well positioned even if oil prices drop back to 2017 levels. At the levels being projected, this company is a must buy. Ratings Breakdown: 11 Buy Ratings, 13 Hold Ratings, 1 Sell Ratings. The big question heading into 2019 is where oil prices will go. While some industry analysts foresee prices holding at their current level of around $70/barrel. Others are calling on OPEC to increase production to drive down prices. Still, others foresee global volatility causing demand issues that will drive up prices for the rest of 2018 and beyond. Investing in companies that are linked to commodities is notoriously volatile. However, for many income investors, the lure of an attractive dividend yield make these stocks a must buy in any portfolio. After several years of declining oil prices, oil companies are enjoying the lift that they are receiving from crude oil prices in the $70-dollar range. But rising prices alone will not make all oil and gas companies a good buy. When oil prices go up, margins get squeezed. That's why you need to consider what a company will do that gives them an advantage. Like Marathon with its ability to refine tough-to-process crude or EOG Resources that focuses its efforts on premium drilling sites. However, you decide to play oil and gas stocks, remember it's always better to own the company than the sector. While there are many quality ETFs available, they won't offer you the dividend opportunity that many of these stocks provide.